A mid summer evening at Kildonan. 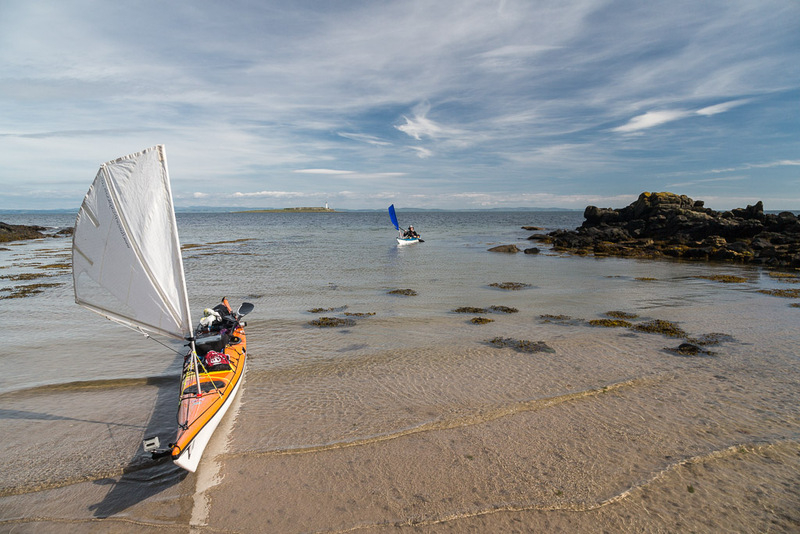 It had been a long day since we left Saddel Bay on the Kintyre peninsula. 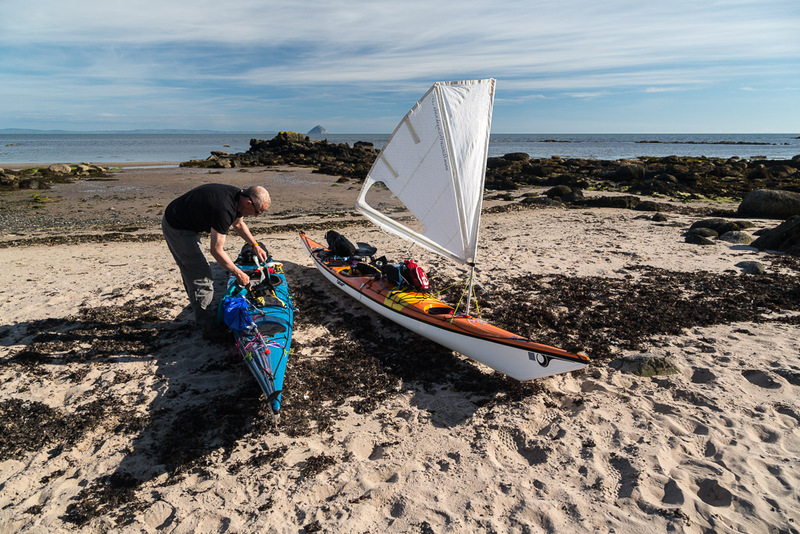 After three luncheons and three swims we finally arrived at Kildonan in the Sound of Pladda on Arran's south coast. It was rather hot and I went for a further swim while Tony went off for a cold shower under a nearby waterfall. The time was now 1730 and the 1615 Larne to Troon (arr 1830) High Speed Catamaran HSC Express was just passing the direct line between Kildonan and Ailsa Craig. This was useful navigational information as the following day the ferry would cross this line twice during our planned 22km crossing to Ailsa Craig. Very approximately, the ferry crosses the line when an hour from Troon, or an hour and fifteen minutes from Larne. As she ways almost 6,000 gross tons and travels at 40 knots she presents a formidable challenge to sea kayak navigation on this crossing. 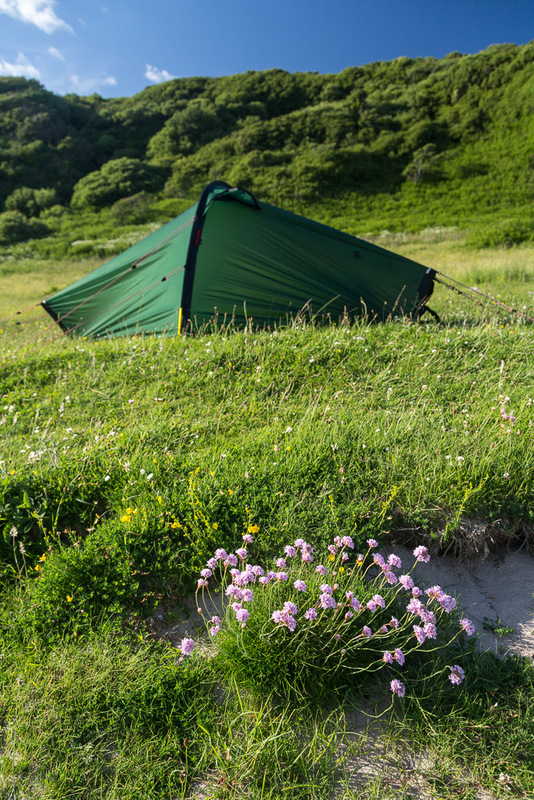 ...camp on an excellent verdant sward above the beach and a clump of pink thrift. 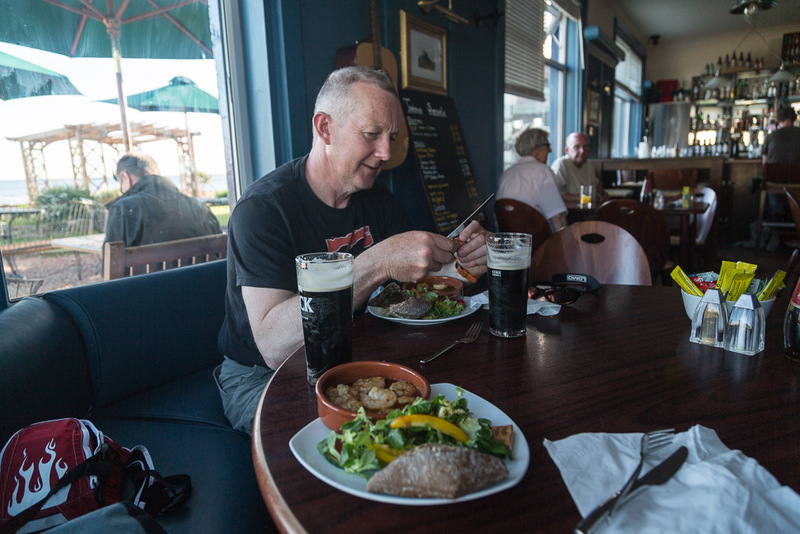 After setting up camp Tony and I made our way along the coast to the Kildonan Hotel where we fortified ourselves with sports recovery drinks and prawns in garlic butter with crusty bread. Being midsummer it was stll surprisingly light when we emerged from the pub. I love the view of Pladda and Ailsa Craig from Kildonnan, especially when the tide is running over the bar in the Sound of Pladda. The contrast in shape of the two islands is very dramatic. 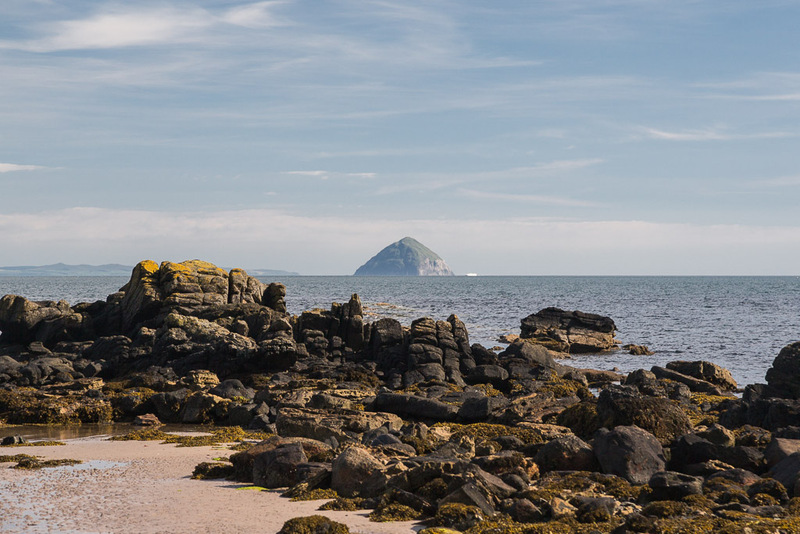 At night you used to be able to see 3 lighthouses from Kildonan: Pladda, Ailsa Craig and Turnberry. Unfortunately Turnberry light has now been extinguished. 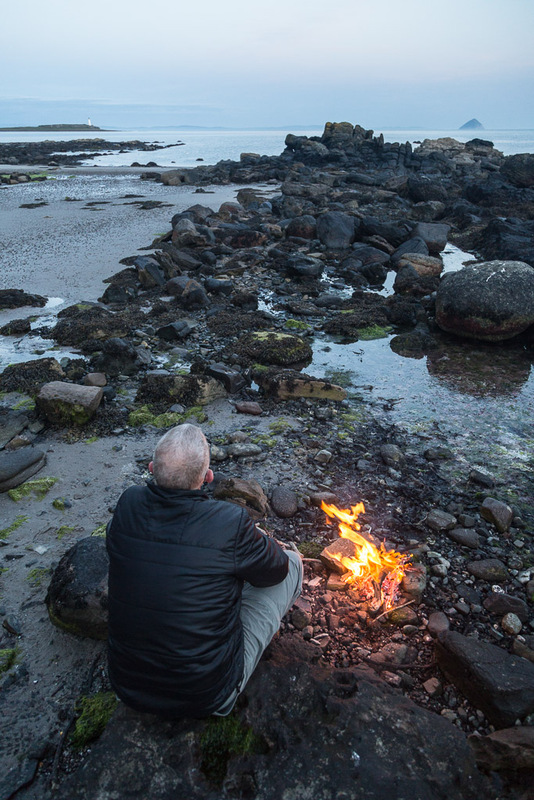 There was not much driftwood bat Kildonan but I supplemented what little we did find with a bag of barbecue charcoal. 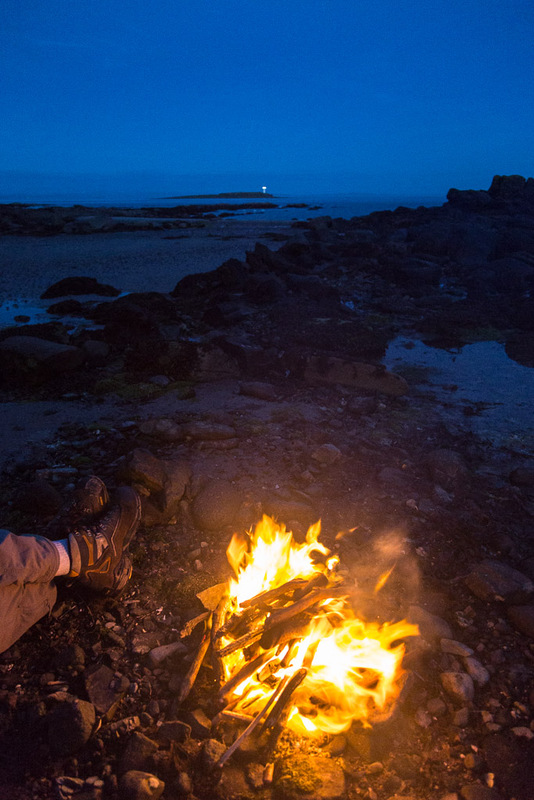 We toasted our toes and baked potatoes by the fire until the Pladda light started flashing. It really does not get much better than this.